For our 2nd wedding anniversary we stayed on British shores and had a seaside break in Great Yarmouth. It was here and Scarborough that my grandparents visited many times. Scarborough is also a favourite of ours, but alas, we didn’t think much of Great Yarmouth. We stayed in a really well located b&b near the seafront. It was called The Warren and is run by a friendly welcoming couple. The husband has been a chef all his life, but asked me if he had given me enough for my vegetarian breakfast. This makes me think that in over a decade of running this b&b they have never had a vegetarian stay with them, which I find quite unusual! Yarmouth certainly has it’s plus points. 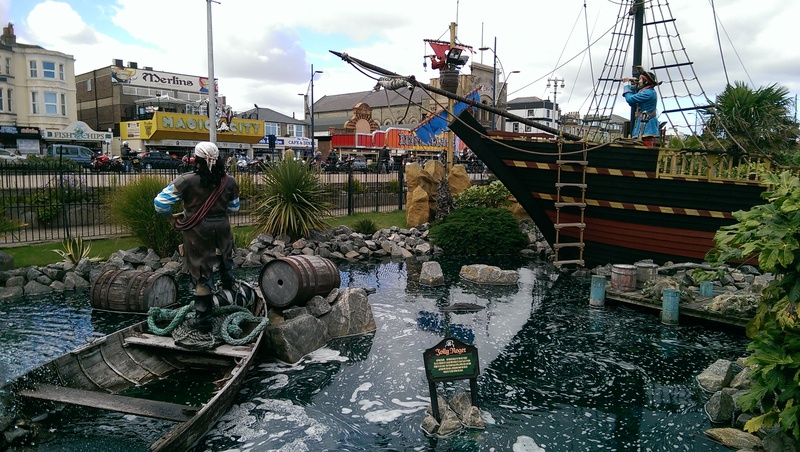 Along the seafront there are three relatively large and well designed crazy golf courses. We played on the pirate course, as that looked the coolest and we had a fun 18 hole game. It actually felt like a preparation for when we play on the elaborate ones in Florida next year! The seafront is also filled with loads of amusements, chip shops, cafes and not one but two piers. 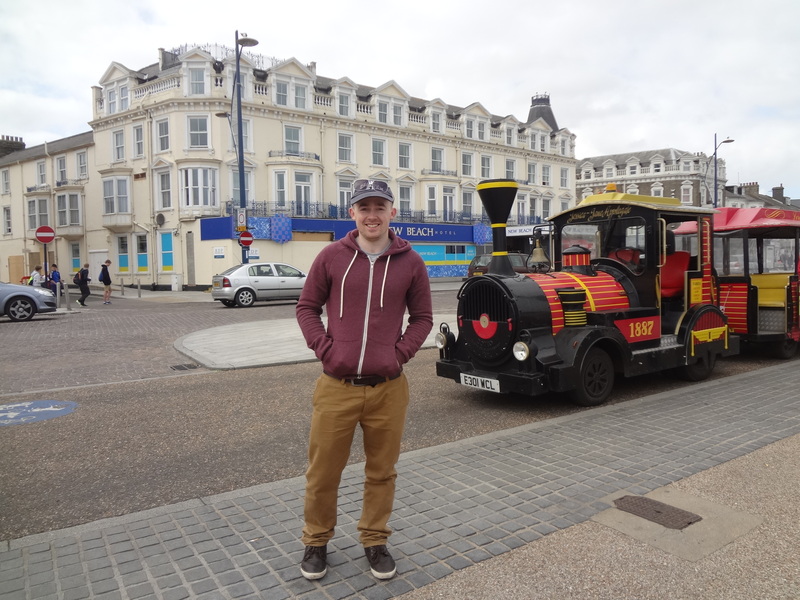 To our surprise there was a Dotto tourist train, which we have been on abroad, such as in Albufeira and Crete, but we have never seen one in England. It was £2 for a single trip and £3 for a return. It only went along the front and we wished we had the weather of a holiday in Europe, rather than the chilly dampness of the east Norfolk coast. One of the things we didn’t like was how the sea and beach felt so far away from the “seafront”. The sea was mostly blocked out by crazy golf courses, piers, rides and a horrendous leisure centre, that has an ugly sixties design and is an eyesore on the landscape. 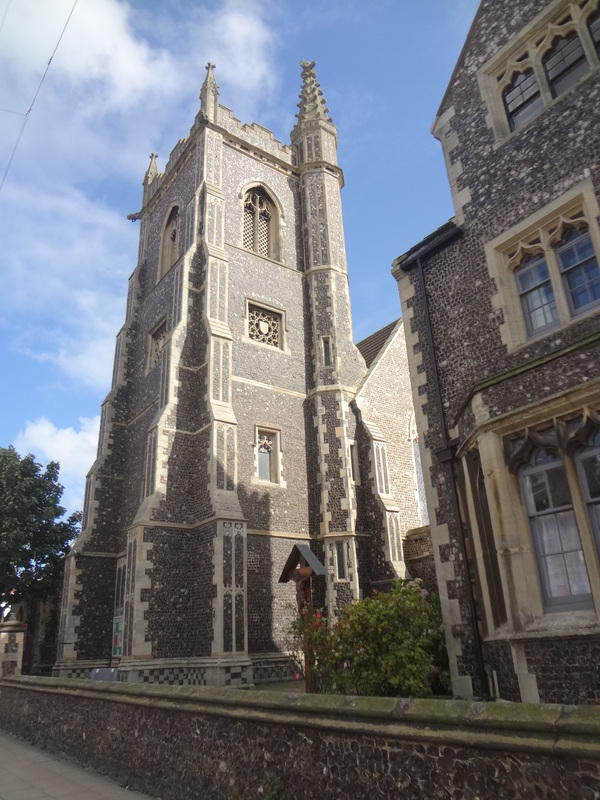 There are some pretty buildings dotted around the city, such as the cathedral, hippodrome where the circus was taking place and the old run down Empire theatre. But too much is being left to ruin and a lot of work needs to be done to put the city in the same category as Scarborough. The Maritime Festival was taking place by the river while we were there, so we popped along to that. 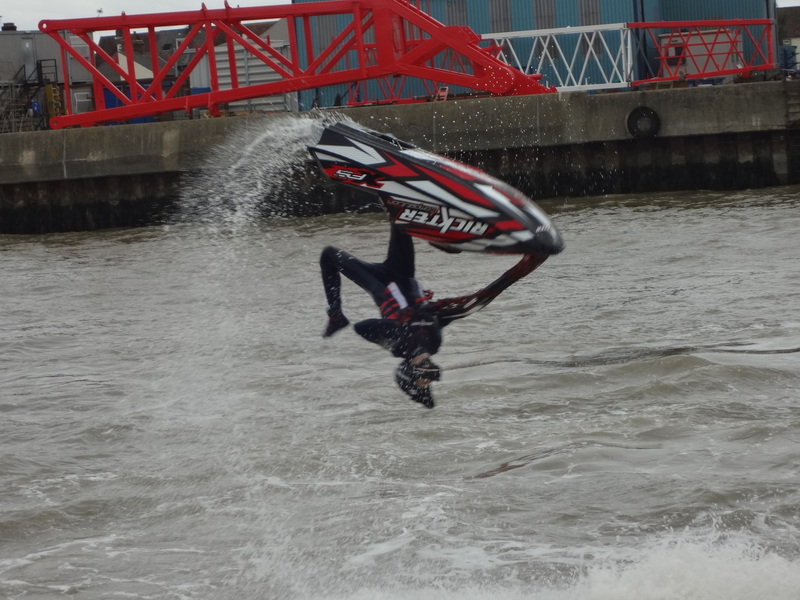 There were old boats to go on, for a price, as well as food stands, craft tents and even a jet skier showing off his skills. 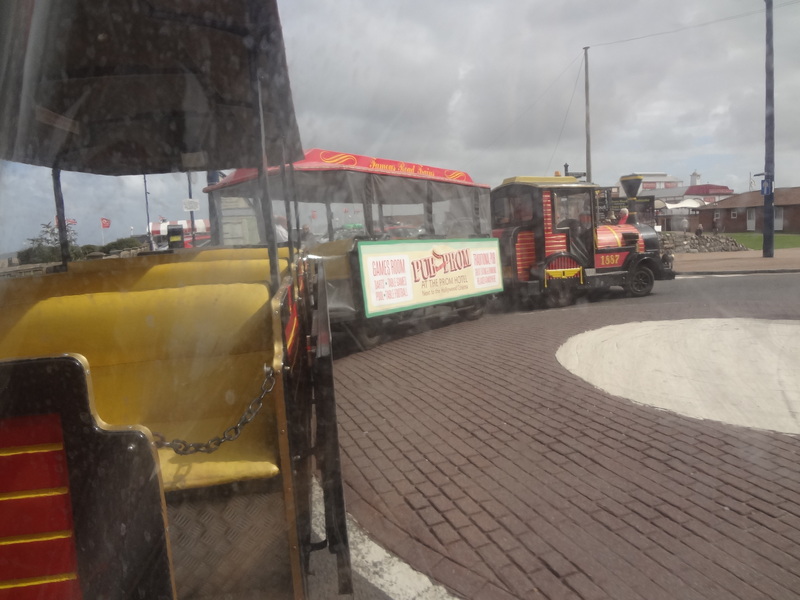 I’m glad we visited Great Yarmouth. It has been a holiday resort for over two hundred years and is a gateway to the Norfolk broads, but it needs a lot doing to it to bring it back to its heyday.